The Keebler Company puts out some mighty fine cookies. One of our favorites is their fudge sticks. They are - in case you're not a cookie lover - fudge-covered creme wafers. They look like little chocolate logs and and it's really easy to eat a bunch of them before you even realize it. They're chocolaty, creamy, and crispy all at once, and oh yeah ... they're delicious. We've been buying these for years and they're especially a favorite of hubby's. 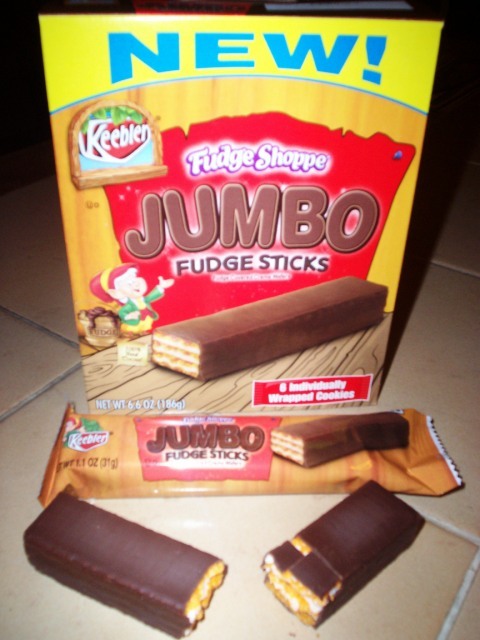 So imagine our surprise when we saw JUMBO fudge sticks on our grocer's shelves. If we like something, bigger can only mean better, right? We hoped so. That box was in our carriage faster than those elves can climb up their tree, lol! There are six individually wrapped cookies in each package and they sell for around $3. Each cookie has 140 calories, no trans fat, no cholesterol, and only 35 mg. of sodium. Not bad! 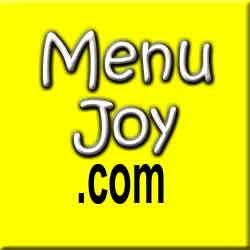 They do, however, contain eight grams of total fat and 16 grams of sugar. Hey, it's a cookie. But the most important thing is - how do they taste? THE VERDICT: Fantastic. They taste just like their little originals, which I was afraid wasn't going to be the case. But not to worry, the folks at Keebler got it just right. So if you love to snack on fudge sticks, but want to keep track of just how many you're putting in your mouth, try these larger ones. Just one with a glass of milk may be all you need to satisfy your fudge stick craving. But they're so good, you might want two.